Françoise Lombard, Diplôme Supérieur of Montréal, Canada, brings a wealth of experience and expertise in Dalcroze Pedagogy and Methodology. As a professional musician, composer, and Dalcroze rhythmician, she brings her unique approach to Dalcroze Education to the Rocky Mountains in a workshop designed for both musicians interested in the relationship between music and movement. One of her areas of expertise that we’ll explore involves “The Art of Listening,” which deepens students’ understanding of inner hearing and aural comprehension in music. This workshop will be geared towards musicians, music therapists, and music educators of all kinds as an introduction to Dalcroze Education. Download the workshop flyer here! Join us for a FANTASTIC day of Embodied Musicianship with one of Canada’s leading Dalcroze Practitioners!!! Sponsored by the Dalcroze Society of America and the Dalcroze School of the Rockies. Feel the joy of music from the inside out! Dalcroze Education is a unique, exciting, and powerful way of knowing music through the body. The Dalcroze approach explores musical concepts through social and interactive methods that invite students to trust their ideas and develop their own intuitions. 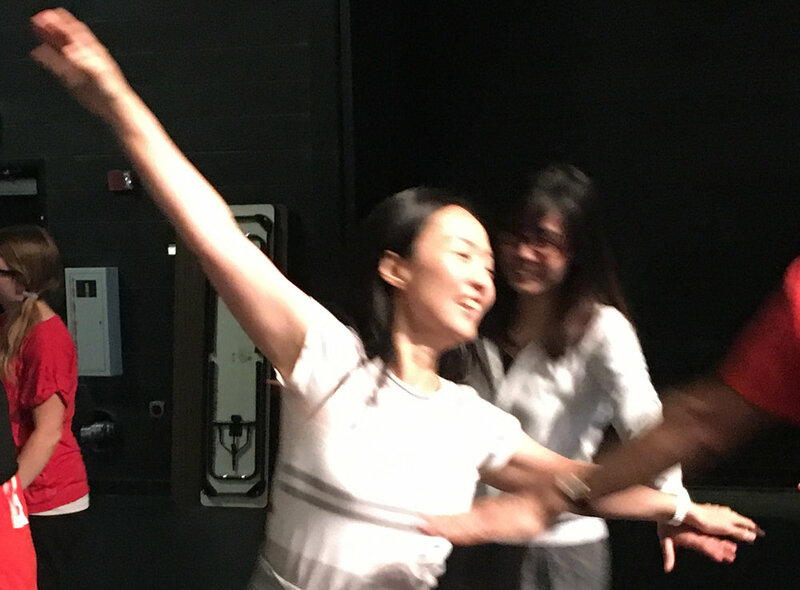 In a typical Dalcroze class, the instructor will combine the elements above using rhythm games, songs, gesture, and movement as the key teaching media so that the joy of music is experienced and understood. As a precursor to or in tandem with private music lessons, Dalcroze Education will create a platform for accelerated and deep learning in all musicians. We will record the entire workshop and make it available to participants who can't attend in person! You'll receive all handouts electronically in addition to a link to the video recording of the entire day's events. Please email our RMDSA treasurer, Wendy Nestrud, if you have any questions or concerns: wendy.nestrud@gmail.com . Dalcroze Education is for everyone! $30 students with ID, if you preregister by October 28, 2018. $35 for members of the Rocky Mountain Chapter of the Dalcroze Society of America, if you preregister by October 28, 2018. Click here to join the DSA! Prices increase after October 28, 2018, so register today for a great value!